California is considered one of the World`s top wine and culinary travel destinations. Join Sommelier Kathryn Harding and seasoned traveler Jason MacLeod as they guide you on a unforgettable tour to some of California`s top wineries and award winning restaurants. Our longstanding relationships with these wineries will provide you with unheralded access to winemakers, vineyards, wine cellars and exclusive tastings. Space is limited to 12 people so make sure you book your spot today! Arrive and be picked up at the airport by our very own Travel expert Faith Sproule. Staying at the luxurious and modern Parc 55 hotel, located in the heart of San Francisco’s Union Square. Unwind and meet your travel mates and a enjoy a relaxed and casual dinner at the Italian Zingari Ristorante. Afterwards we whisk south to Livermore where we visit Wente Vineyards the country’s oldest, continuously operated family-owned winery. Along with a tasting of their portfolio of wines we will be staying for a paired wine dinner at their award winning restaurant. Wake up at the beautiful Vino Bello Resort in the Heart of Napa Valley. We will be starting the day with a trip to the iconic Clos du Val winery, located in the heart of the Silveraldo trail. The tour starts in the vineyard where we learn about the attention to detail and hard work to produce these iconic wines. 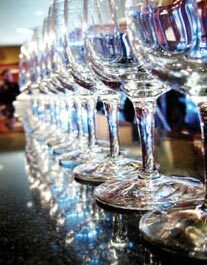 In the tasting room we will explore the various varietals wines that Napa is famous for. After a lunch on the terrace we head to Neyers Vineyard located off the Silverado Trail to enjoy exclusive access to this specialty producer; famous for their Syrah bottlings. 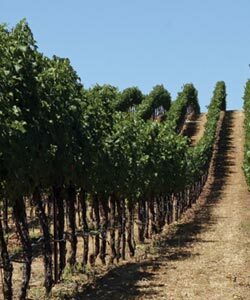 Then we will whisk off to Signorello Vineyards – Kathryn’s current favorite Napa Valley Cabernet Sauvignon. Here we will experience a food and wine tour that pairs local inspired cuisine with these exceptional Napa Valley wines. Jason and Kathryn will be hosting a wine and cheese tasting in the evening featuring special finds from the day and a few other California gems. What pairs well with great Cabernet? The movies of Francis Ford Coppola – of course. Today begins with a visit to the Francis Ford Coppola Winery where memorabilia form his iconic movies (such as the desk from the Godfather) are integrated throughout the property. We will be staying for lunch on the patio of Rustic the famous on-site restaurant. After lunch we head up to Zinfandel specialist Seghesio Vineyards to sample their wide variety of single vineyard zinfandels. Tonight we wrap up our day in Napa with a a true gastronomic experience at the Greystone Culinary Institute of America. You will be treated to a 5 course wine paired dinner in one of the Napa Valley’s most historic and majestic properties. Today we have scheduled a free day. You can choose to relax by the pool at the gorgeous Vino Bello Resort, spend the day strolling through the town of Napa or head to a winery of your choice. Transportation will be provided to and from the Vino Bello. Dinner will be on your own tonight. We can always help with suggestions and reservations. Our last day concludes in style. Starting at Joseph Phelps winery. Joseph Phelps is a legendary producer in Napa and typically not open to group tours. Thanks to our great relationship, we’ve been able to arrange a private tasting that could definitely be the highlight of our trip. Another cellar tasting and lunch overlooking the pristine rows of vines at St. Francis – the producer of our store’s most popular California Chardonnay. Then right on to Napa Drive where the beautiful Cakebread Cellars is located. We will experience another exceptional tasting of wines that vintage after vintage are well-scored and delicious. We finish of our day with dinner at Carpe Diem Wine Bar. Featured in the New York Times and LA Times, Carpe is considered one of the premier wine bars/restaurants in Napa. Spend a morning relaxing at the luxurious Vino Bello Resort before we head back into San Francisco to catch your flight home.